That's what they call it, Garden Pizza. And it's the best in summer, fall. It's best with fresh basil, zucchini, onions, garlic, all those tomatoes, and some cheese. We made these for dinner. 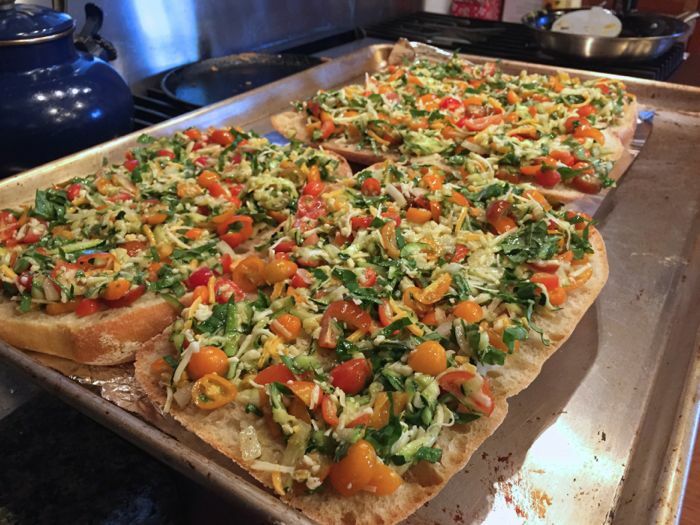 I once called it Lazy Pizza, when I shared the recipe, but I think I like the sound of Garden Pizza, better.